working on my other ones as soon as they show up. Checkers look great. How did you do it? I'm done with this site. Do you think a shot of clear coat would keep it from getting beat up? Possibly.. I was using these double-sided sticky pad things to adhear the pedals, so when I switched pedals, it ripped some of the paper off. I'd imagine a clear coat would help protect it, or a few coats at least. 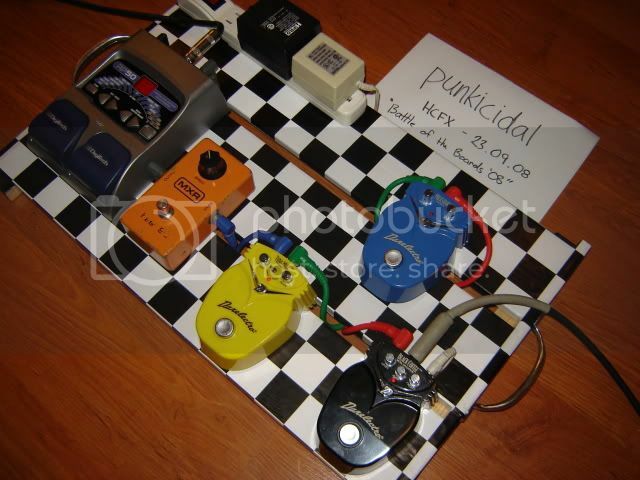 I need to redo the checkers and get some velcro to put on afterwards so it'll make swapping pedals easier. ****************ty pic'd. The SD-1 and Fish and Chips are gone, and I have a BYOC RAT now. from awhile ago. 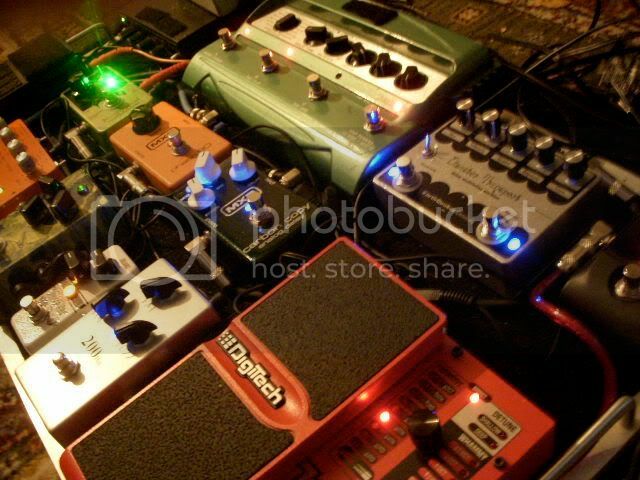 I don't think I own/use any of these pedals anymore. Still got the board though, but I don't really use that either. 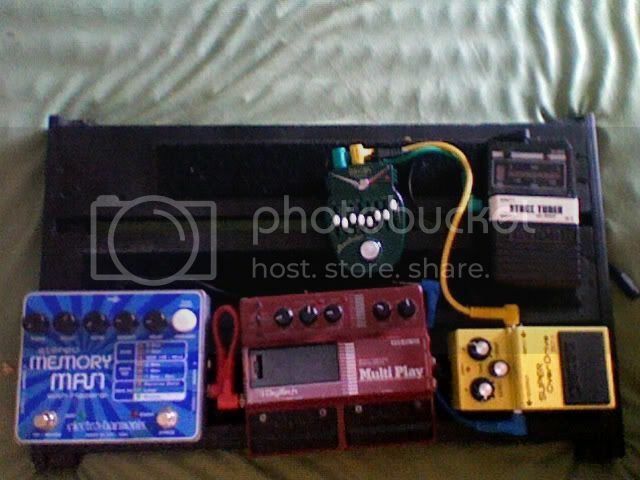 i bought a pedal gorm jr and pedal gorm pro last week... i velcro'd the pro, but i wanna do something cool'r for the jr.... i'll have pics up this week, but it will have this stuff on it, unless i pull the trigger on that ocd. this is my 1 post for the month. nah... last weekend about a dozen of use went out and bought them... we've had a week and 2 days off to gussy them up... sunday was the right time/place to make it happen. but if you'd like... yes... fate, even. no! ANYTHING BUT STEVE RAVAN!! !